Are you looking for a large sizes vase for your home decor? If yes, then you can check out the astonishing Azure Aura Convex Large Vase. 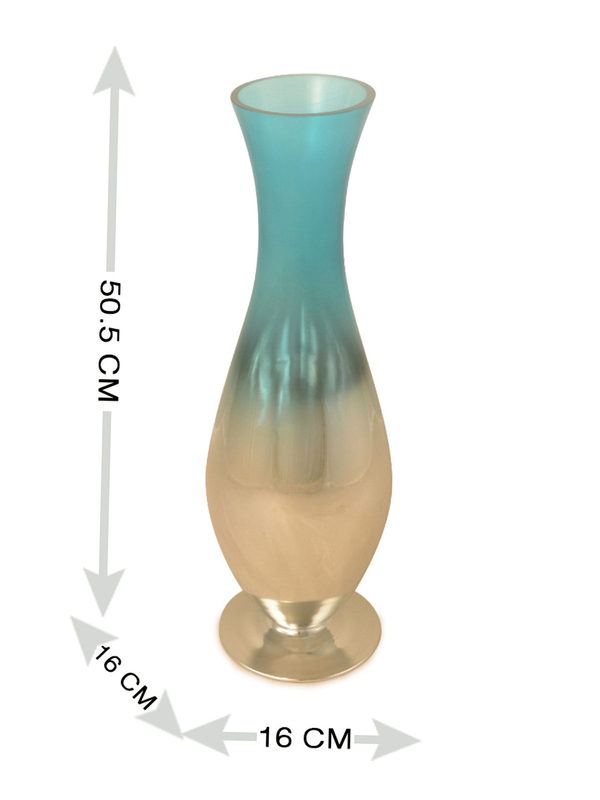 This vase is made of glass material and is very delicate and this is perfect for embellishing any corner of your house. You can decorate each and every corner of your house with this vase. You can get as much number of vases you want to purchase. This Azure Aura convex vase has a unique look as it is blended with a mixture of several colors with blue as the major color. Whenever you would see this vase in your house, then automatically you will feel positive vibes. This vase can hold all types of flowers and the look of the vase with a light view of stems can hold anyone's eye on itself. The shape of this vase is perfect for providing sturdiness to it and the look is of course elegant. The bottom part of this pot is wider than the upper part and that's why water can be stored easily in it. There is no need to get rocks and pebbles for providing extra weight to the vase as it is already stable. Purchase the awesome Azure Aura Convex large vase from @home.